The first three generations of the iPod shuffle are a good example of how Apple keeps evolving and reinventing its products and yet strives to maintain a sense of continuity to communicate that the core concept and identity is unchanged. 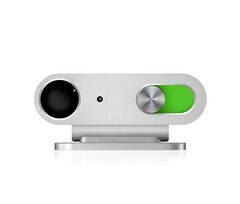 In the case of the iPod shuffle there is one element which has been painstakingly kept throughout all of the models: the use of the color green. It has been successfully associated by Apple with the act of shuffling, the random order (and reproduction) of the audio content by the player, and thus with the shuffle itself. The original, first generation of the iPod shuffle, launched in January 2005, used this color extensively in its packaging and promotional material. 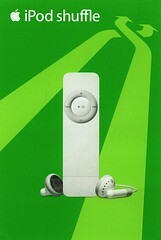 Green was the background of the TV commercial and print ads, green was the dominant color of the smallish box in which the iPod was sold and green was the color under the button which switched the iPod on and put it on continuous or in a shuffle play mode. The second iPod shuffle generation, launched in September 2006, kept the green theme in many of the aspects such as packaging (although in a more subtle manner) and the switch controls. 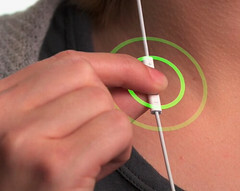 Apple even made a step further and chose green as one of the (many) colors in which the microscopic player, now in the form of a clip, was painted and made available to the public. 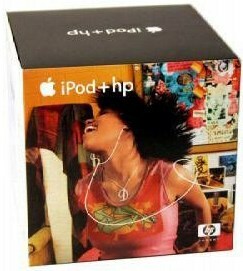 The third generation of the iPod shuffle, launched in March 2009, represented a bold choice by Apple. The player was made ridiculously small and given a clean and minimal, almost aseptic design, stripped even of the front controls, which were moved -in a controversial choice- to the earphones’ cable. But once again the color green was kept as a defining mark of the “shuffle” brand, used sparingly but effectively in two ways. One such use was -again- under the on/off switch, as in previous models, this time the only spot of color on an otherwise chromatically neutral device. 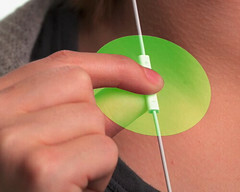 The other use is not on the device and can be seen on the Apple website, during the Guided Tour Video, which shows how to use the new controls on the earphones. To emphasize and make absolutely clear how how each single, multiple or prolonged click activates a function Apple chose to use animations. During each of those key moments there are circles, big green circles.